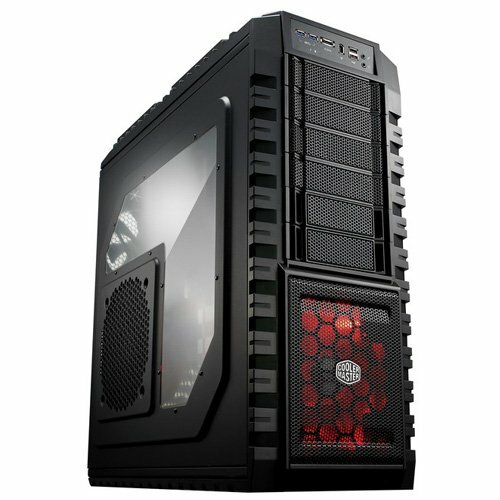 For higher end, gaming PC’s that cost above 800 dollars case matters just as all other components. 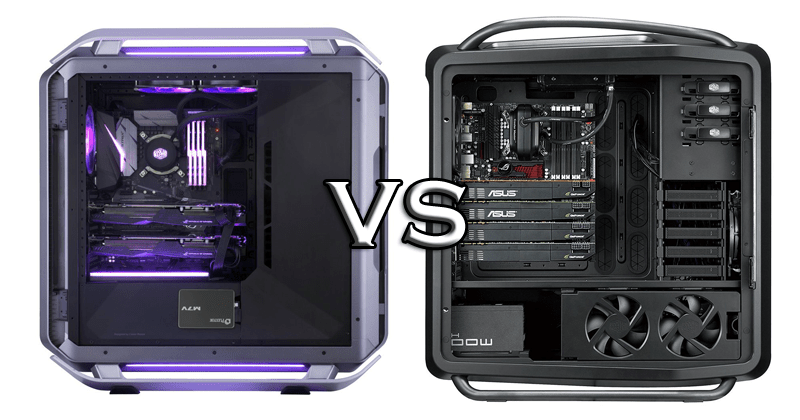 You may ignore the size and features of a case if you are on a tight budget but on the other hand, a properly designed case will decide whether your components will fit in or not. Believe me, it’s the most common mistake that, people make in building a PC. 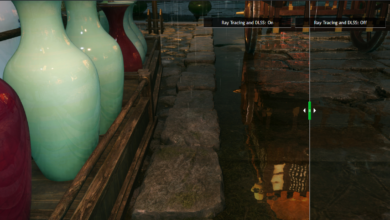 They buy good components like a two or three fan GPU and a normal mid tower but they didn’t saw how much long graphics card will it support. Sometimes it becomes a matter of millimetres. So your money is gone and you end up buying a new case. 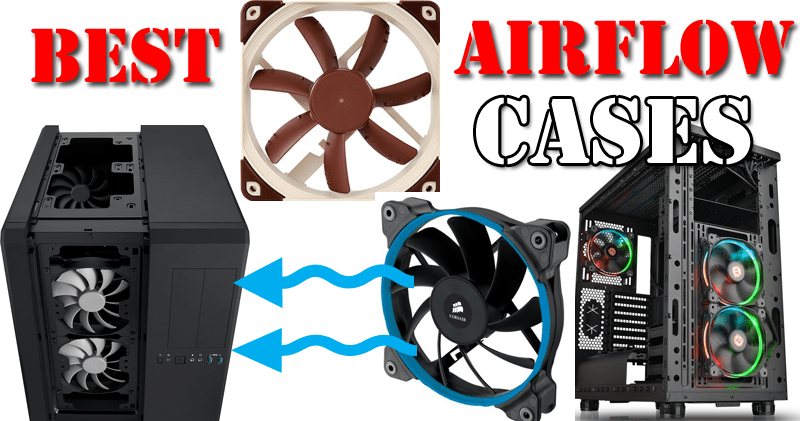 Now cases also have form factors just like the motherboards and you can fit a particular form factor motherboard into a same form factor case but you may need some fan slots/ radiator slots and more HDD/ SSD slots in order to upgrade your PC. So that’s the place where Full tower cases help you a lot. They not only fit in all types of components but provide even better ventilation and air flow. 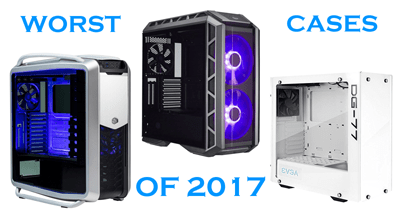 I have listed some of the best Full Tower cases that have got hundreds of positive reviews and have unique design and features. Just under 100 dollar price tag, NZXT has one of the most popular full tower case that is compatible with every possible component out there and doesn’t break your bank at the same time. The case has all the features you would need in order to build a high-end gaming machine with a high-end component like Gtx 1080 (Plus SLI), Intel Core i7 6800K, Asus x99 Pro motherboard, Liquid Coolers etc. 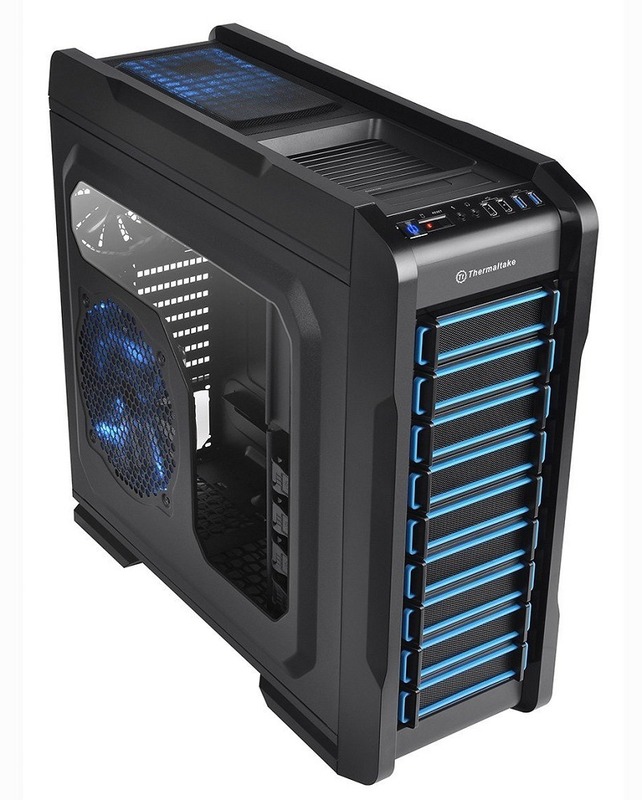 The case is specially made for cooling and has plenty of slots to add additional fans possibly everywhere including rear, top, front bottom and bottom. 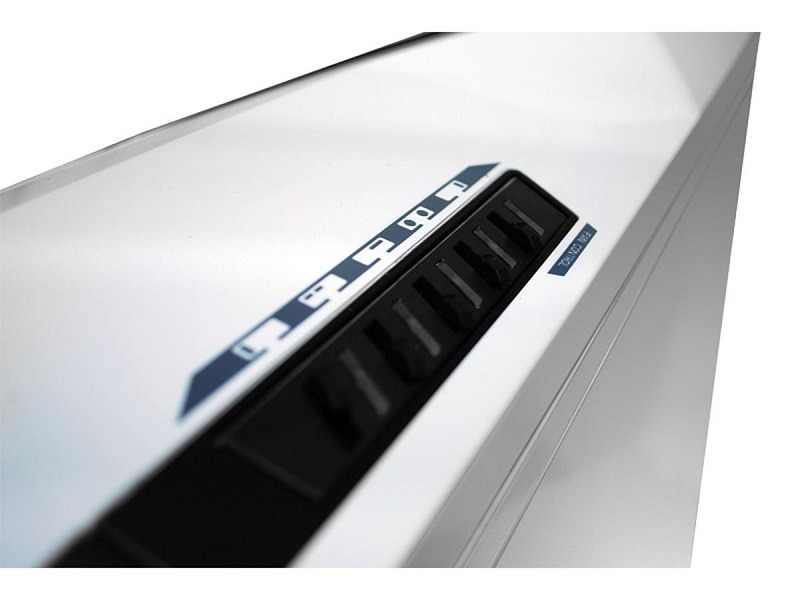 You can either install 120mm/140mm individual fans or dual/triple fan radiators. The best cooling will be achieved if you install the CPU radiator at the top making it work as exhaust and some cooling fans at the front for intake purpose. There is an additional slot for a 120mm fan for cooling hard drives/SSD’s. 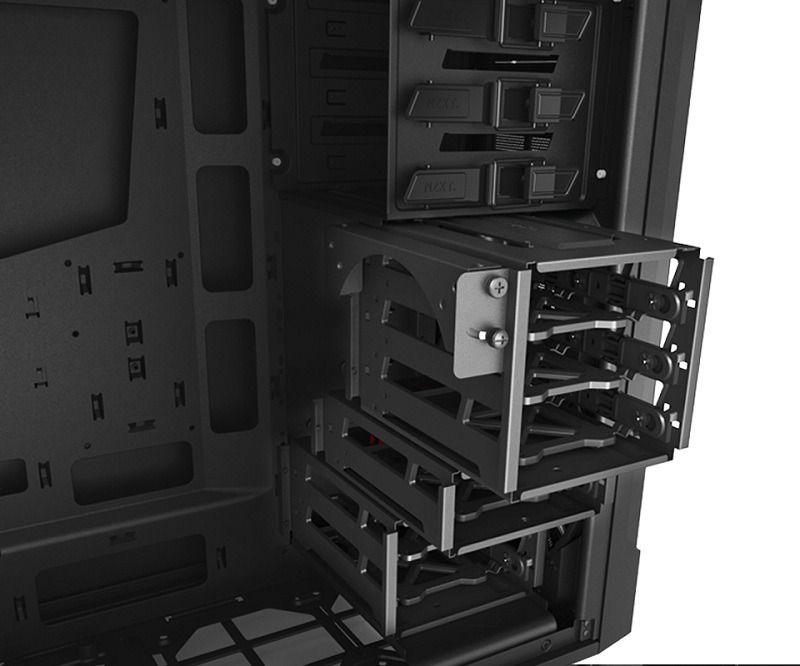 The case is fully modular and can be optimised either for cooling or for adding more components. 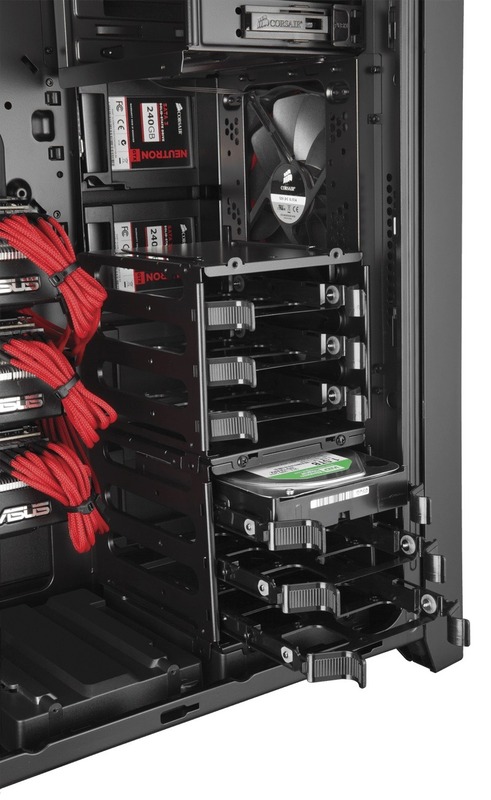 You can either remove the bottom two drive cages for adding the fan at the bottom or just add as many as hard drives or SSD’s according to your needs. Or you can remove them for installing longer graphics cards that have 3 fans and a huge heat sink. The drive bays are combo type which will let you add either SSD’s or Hard drives. The case also has dust filters for keeping out the dust. 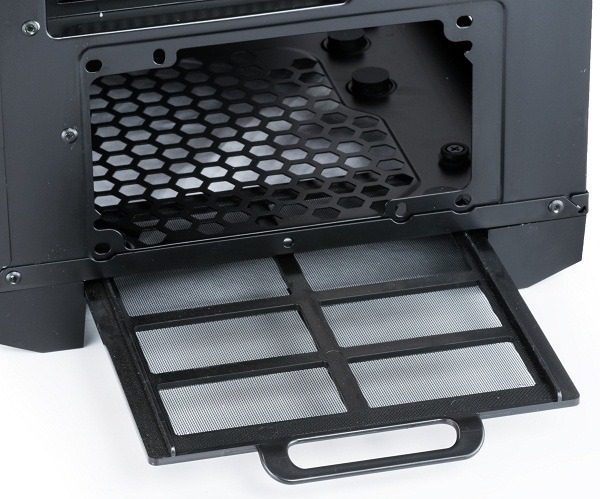 One big dust filter is present at the front of the case that is necessary as the front has two 120mm fan slots. Now when they will blow air into your case, the dust will try to enter for sure. To prevent this the dust filter is necessary so that your components have a longer life and heat less. The other two fan filters are present at the bottom front and one for the PSU. Because both the bottom front and PSU have the fans, you need the air filter for them too. The case also has plenty of space and room for easy wire routeing. You will get up to 34mm of clearance for routeing your wire through the routeing holes. As there are several holes present in the mounting plate, you can easily make way for each component cable so that your case looks neat and tidy. The back where the cables hide also has one discrete SSD mount which is also a good example of how the cases should manage more space for installing more components. Phanteks Enthoo Pro is a great case with a combination of plastic and steel making it reliable and good looking at the same time. 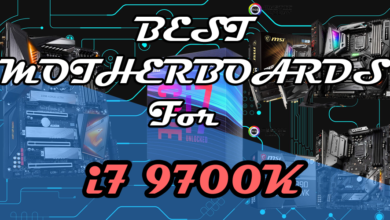 This motherboard can support ATX, E-ATX and Micro-ATX form factor motherboards making it good for a budget build as well as high end builds. The case comes in two variations, either split-windowed like shown in image or non-windowed. I prefer windowed as it enables us to look inside and have a look at our colourful led lighted components. 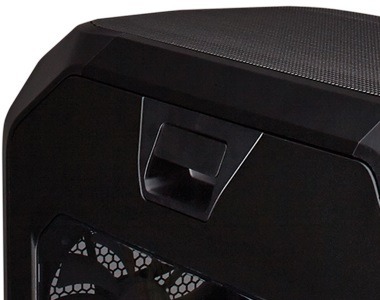 The second advantage of the windowed case is that it comes with the PSU cover which completely hides your PSU. The case has closed panel system for PSU as well as Hard drives which hide them completely making only your main core system visible. 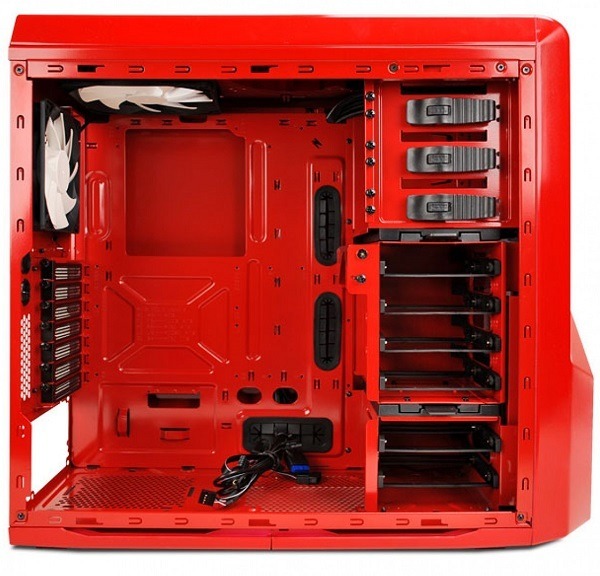 The case has enough room for installing graphics cards of any length and also for big CPU air coolers. 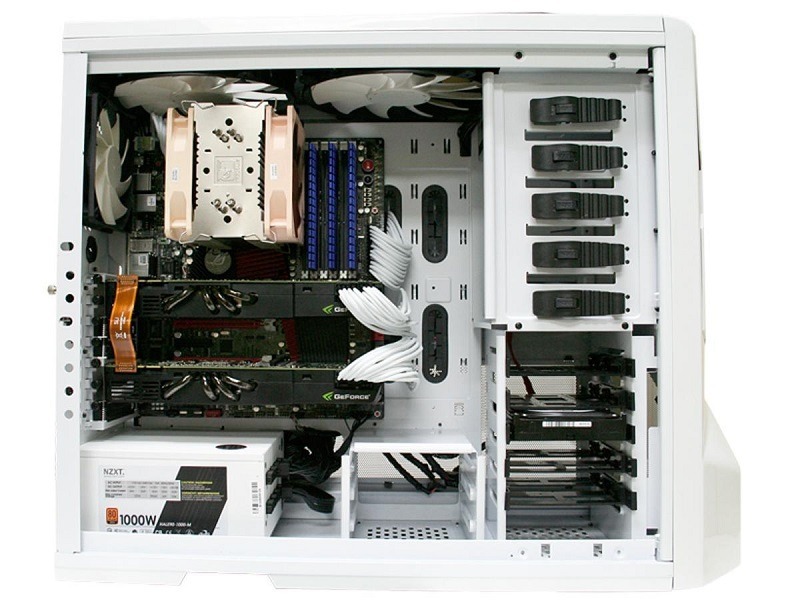 But I would recommend going with liquid cooler as it has a lot of radiator support at the top, bottom and front. For cooling it already comes with 2 Phanteks premium fans pre-installed. One 140mm fan at the rear and one, 200mm fan at the front which is huge enough to blow a lot of air into the case. 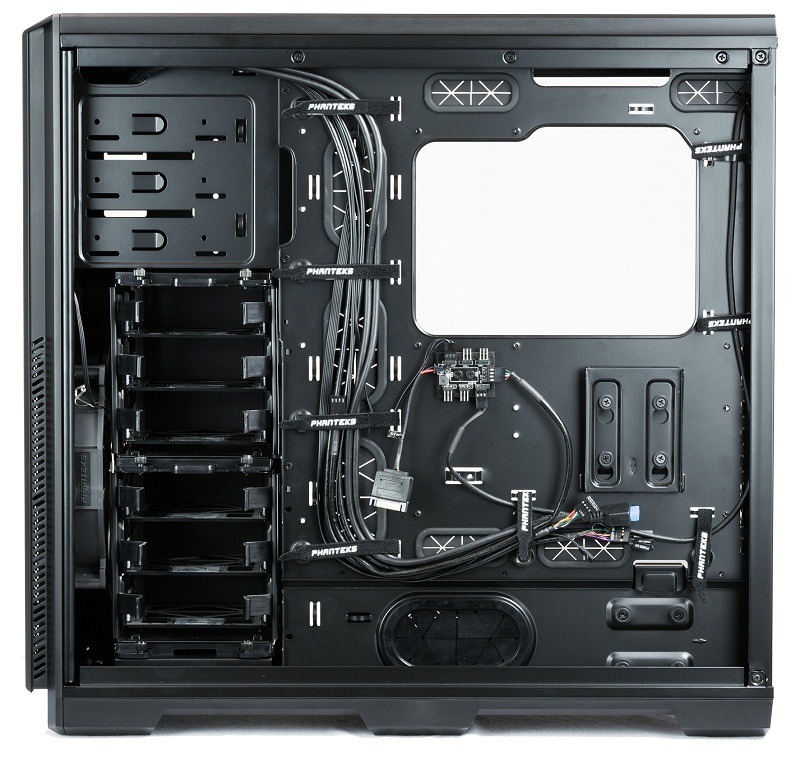 As said before the case has a lot of slots for installing fans and radiators. 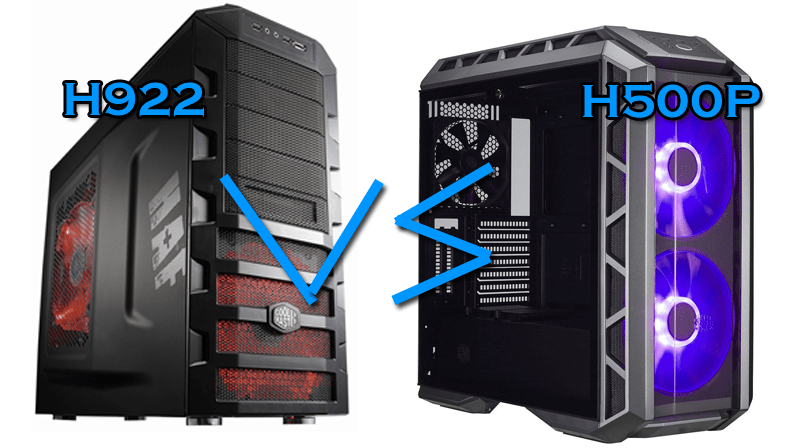 The top is the best place given the space to install 3x140mm/120mm fans or radiator fans and there are two slots more present at the HDD cages to cool your Hard drives or blow them directly towards your graphics cards, motherboard etc. Along with a lot of support for fans, there are three dust filters present. One at the front, one at the bottom front and one at the bottom rear for PSU just like the NZXT Source 530. The cable management system is very neat and clean. There are pre-installed tools for easy routeing of cables and these tools make a single way for all wires so that they do not mess up with each other which sometimes create confusion and frustration. Along with these tools, there is one discrete SSD mount which is removable. If you want to install one SSD there you can do it without any problem, otherwise, there are 6 removable hard drive bays which can be used for both HDD and SSD. 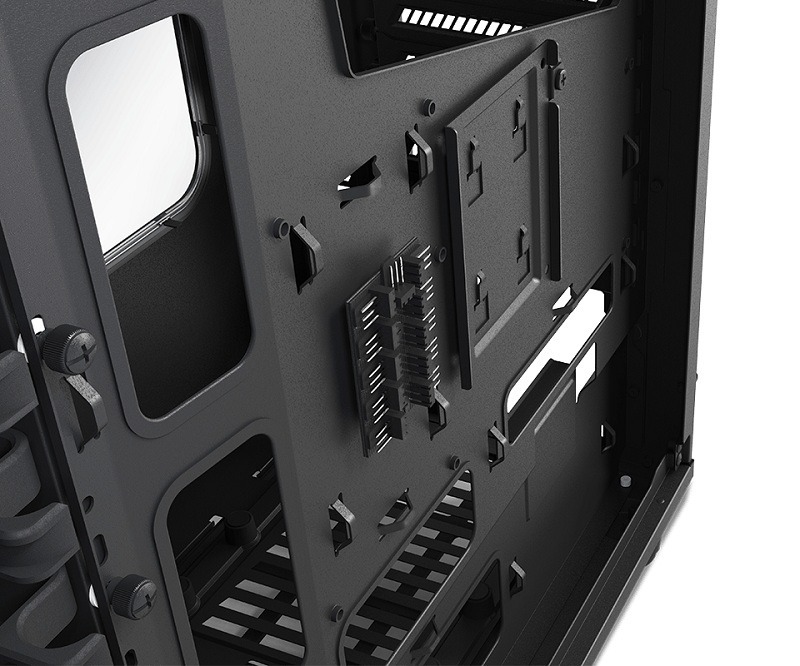 The Corsair Obsidian 750D is a huge case with 9 expansion slots that use thumb screws for easy access. You can add up to many Sound Cards/ wifi cards or graphics cards as the case is huge and you won’t run out of space. The room for longer graphics cards that are long up to 450mm is also available which you can achieve if you completely remove the hard drive cages. There are two cages for Hard drives that have three slots each which are removable. If you want to use more space or get a cleaner look you can remove one cage easily or just put one cage on the left side if your power supply is standard PS2 one. Or you can completely remove both the cages if you are going 100% with SSD’s which are mounted on the side panel which leaves a lot of space in the case giving you more cleaner look. The case comes with three 140mm huge fans for cooling. Two are included at the front for intake and one at the rear for exhaust. 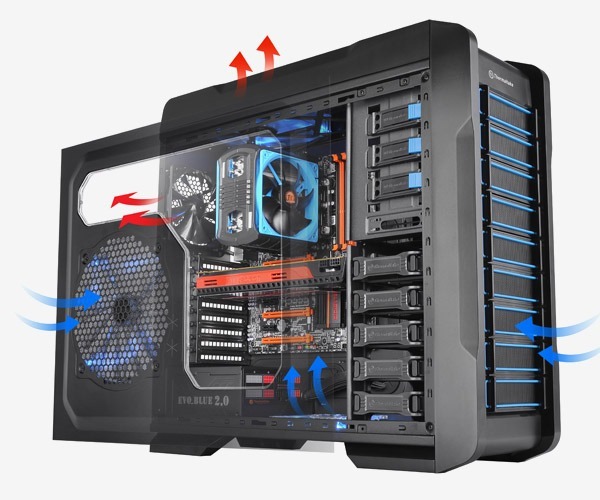 But you can add a total of 8 fans in the case with the support of dual radiators at, the top, front and bottom also. So this makes it good for cooling. Along with that CPU air cooler with a height of up to 170mm can also be installed if you don’t want to go with the liquid cooler. The case has three fan filters. One at the front of the intake fans which is necessary as a lot of dust comes along with the air inside the case. One at the bottom for PSU fan and one at the top which I think is really not that much necessary but still, it’s fine. The mounting plate for the motherboard has a large rectangular hole for easy replacement for CPU air cooler without even taking out the motherboard. You can remove the backplate of the CPU cooler to install another one. Two, modular drive cages house three 3.5″ or 2.5″ drives each, Four tool-free dedicated SSD cages. 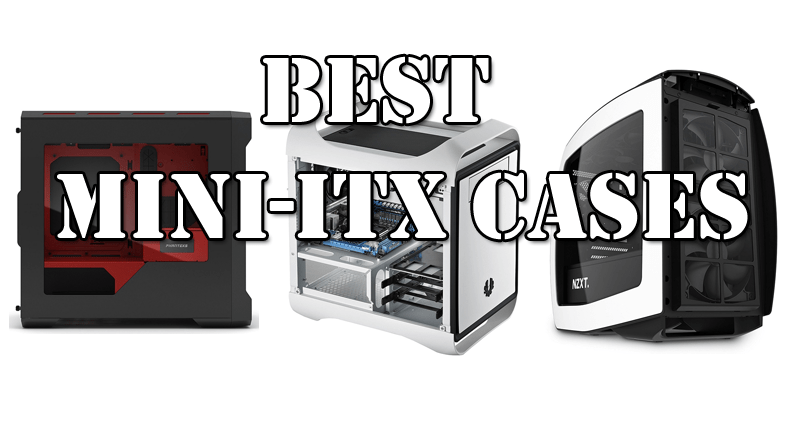 NZXT always produces some of the best cases like Nzxt S340 which is an awesome mid tower that is also mentioned in my Best Mid Tower Cases article. 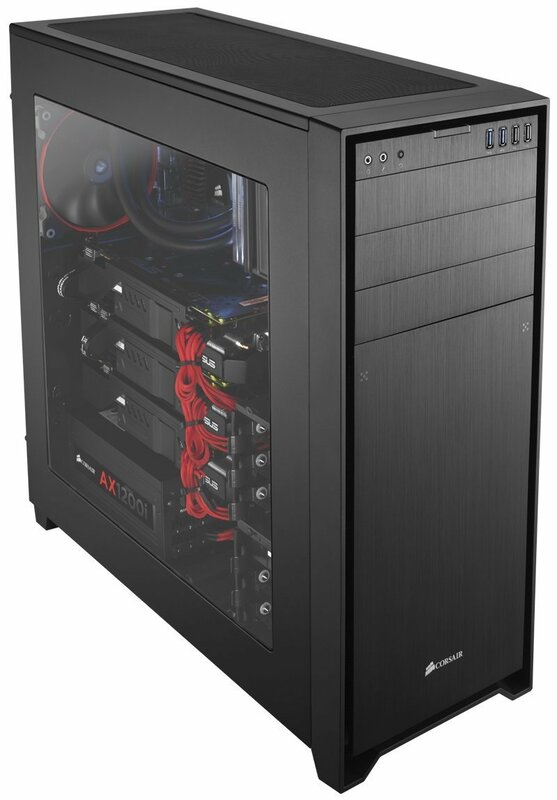 Now I have used this case in my $1750 gaming build that is a solid high-end build. It is available in four different colours that are: Red, White, Black and Black green. All look good and you can anyone that matches your components. The body is very solid and sturdy. It’s very reliable and has a great top design on which there are one-one USB 3.0/2.0 ports along with Audio and Mic jacks. 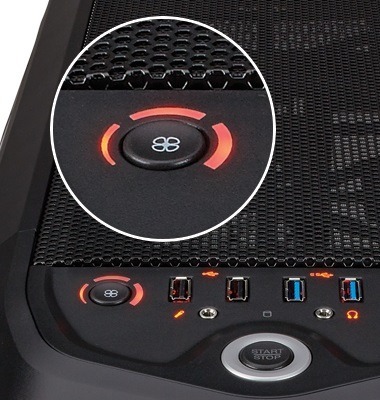 The right side of the top of the case has 5 fan controllers each for the different fans that can be installed at the top, bottom, front and rear. This one is a unique feature as you can control the speed of your fans which ever you want to, to make your case completely silent or make them run at full speed if you want more cooling. 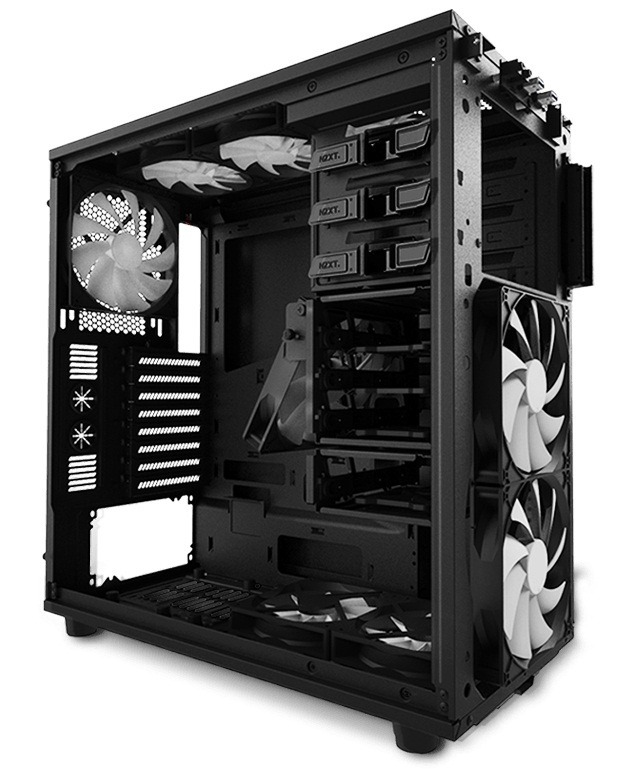 The case, of course, has a lot of room for installing fans and can support upto 7 fans which can be as big as 200mm. 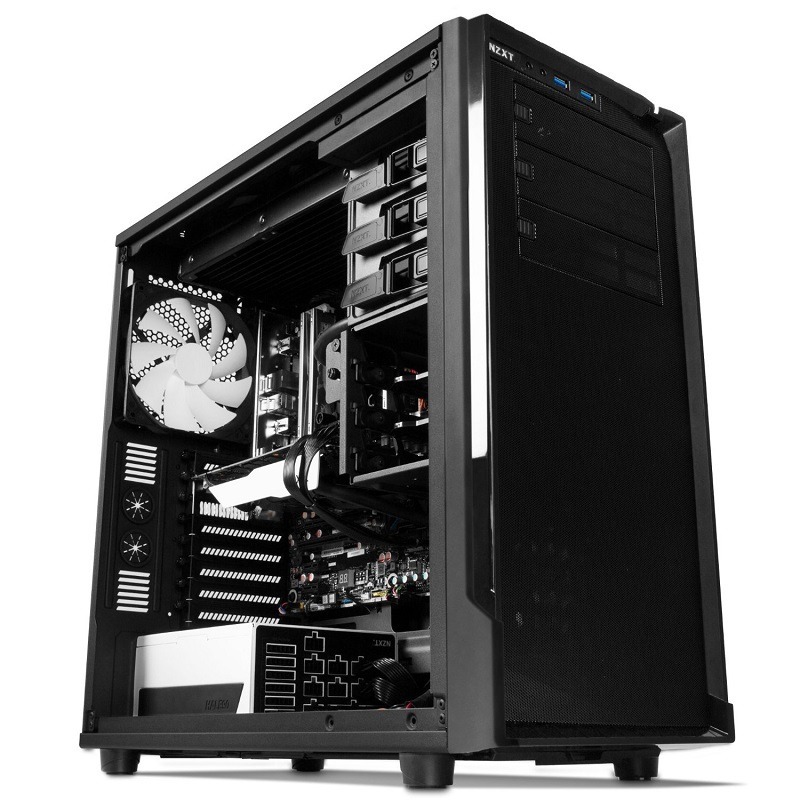 The case supports Micro ATX, ATX and E-ATX motherboards, large heat sinks and longer graphics cards. The case has 5 screws less 5.25″ drive bays which aren’t available in many cases which help you to install any ODD without any screwdriver. A total of 6 hard drive bays is present below the 5.25″ drive bays out of which 2 are at the left side near the PSU mounting space which enables you to install more Hard drives or SSD’s. The case has very stylish looks and sturdy design with the USB ports/Mic/audio jacks at the top along with top-mounted 2.5” or 3.5”HDD Docking Station which enables you to use a Hard drive or an SSD without opening your case. This is not the only feature you get for your drives but it also has several 5.25″ and 3.5″ drive bays that are visible as well as hidden. You can either use the 3.5″ drive bays for an HDD or an SSD as you like and these are tool-free bays which require no screwdriver to open and close. 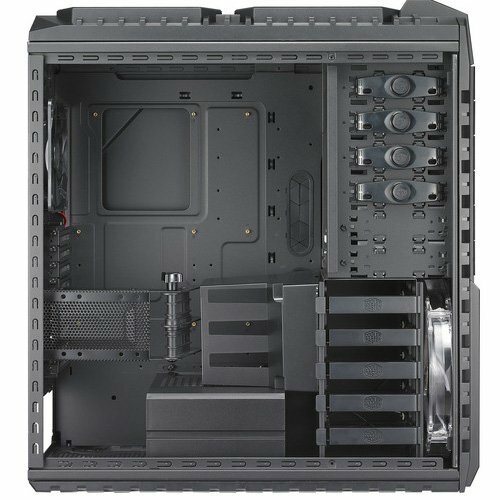 The case has plenty of room to install very long graphics cards, big CPU coolers, Liquid CPU coolers and supports Micro ATX, ATX and E-ATX motherboards. Moreover, the case comes with a lot of pre-installed big fans for appropriate cooling. I like how they have already managed to put the fans at the correct places to make pull push configuration. You get 1x200mm fan(intake) at the front, 1x200mm fan(exhaust) at the top,1x200m fan(intake or exhaust) and 1x120mm fan(exhaust) at the rear to provide sufficient cooling and you may not need to add more fans. These fans also come with dust filters installed at the top, bottom, front and a removable PSU dust filter at the bottom for cleaner operation. 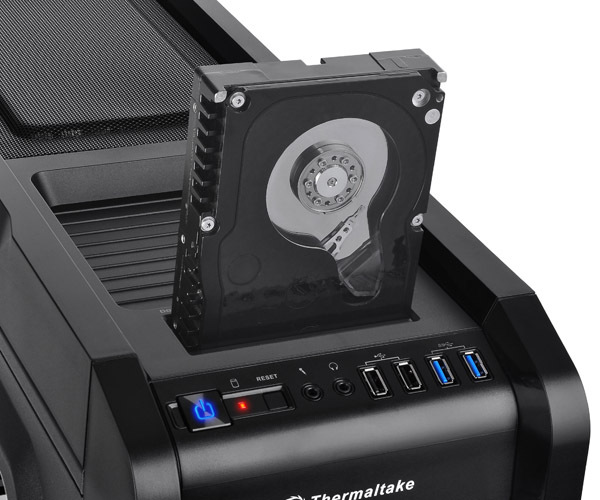 The case is well designed for installing liquid CPU coolers and can be configured in the case at various places including the top and 5.25″ drive bays area. The case has a very good cable management system just like the previous cases with added rubber grommets for hiding the cables for a more neat looking system. 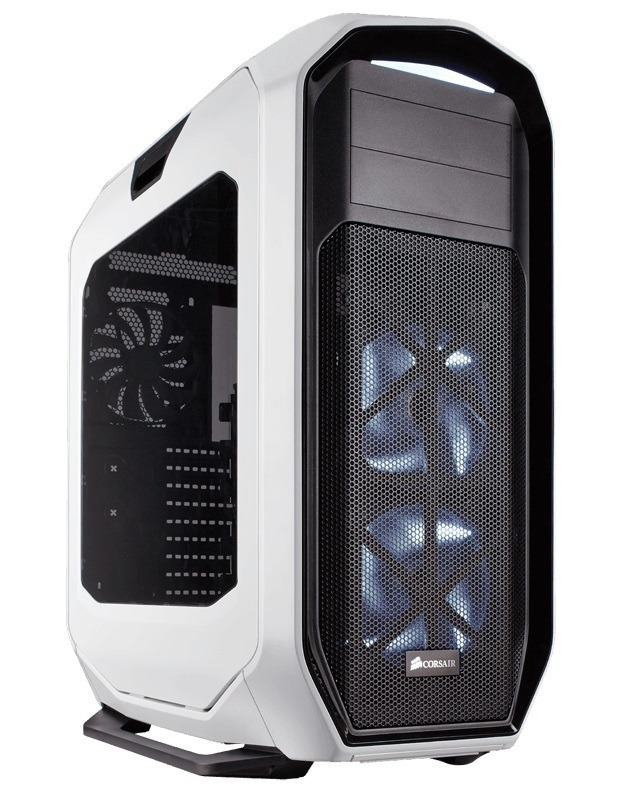 Cooler Master HAF is one of the most popular full tower cases that we have seen. The front panel of the case provides many features that can be accessed only from inside in many towers. There are two USB 3.0 and two USB 2.0 ports along with an external SATA port for fast connect and transfer of data from hard drive/SSD. From inside this cage is very wide and long as well. The height of the case is more than the length which is around 599mm. The case supports up to 3/4 big video cards in SLI/CrossfireX that can be as long as 342mm as the case features 9 expansion slots. There is a total of 6x 5.25″ drive bays and 5x 3.5″ drive bays for installing several ODD’s and HDD’s that are tool free also. The bottom of the case where the PSU is installed has a separate partition for more neatness and clean look. 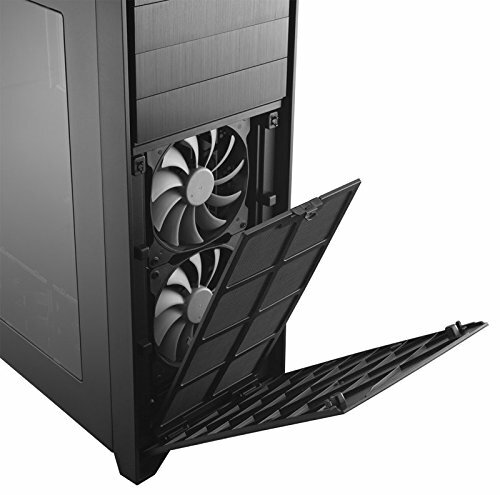 For cooling the case comes with one 200mm big fan at the top with a slot left for additional one 200mm fan. With those slots, there is a large vent present for easy exhaust of hot air. At the rear, another 140mm fan is present for exhaust which makes a total of 3 big fans which can be added to this case which can eliminate all the heat generated. 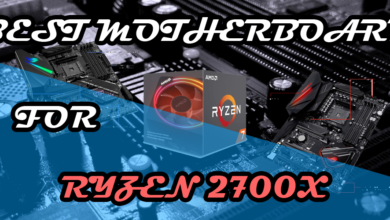 For intake, there is one big 230mm Red LED fan present at the front and one more 200mm fan comes pre-installed at the side panel which is enough for proper pull push configuration. There are two more optional slots for adding a 120mm/80mm fan which is either to be installed on the VGA card fan duct or VGA card holder for cooling your graphics card. But these are just optional and will not make a huge difference in cooling as the GPU’s already come with heatsinks and fans. The only con I find in this case is that there are fewer rubber grommets which could be actually very advantageous for better wiring. This case has all the features that you need. 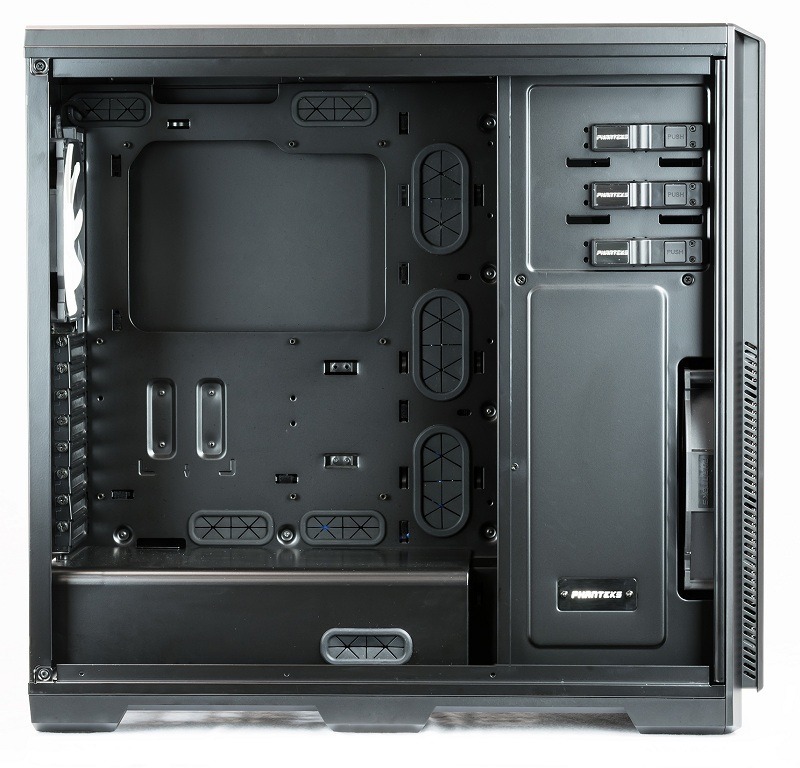 It has a great design that acts like Corsair Obsidian Series 750D and great ventilation like NZXT Phantom Full Tower. 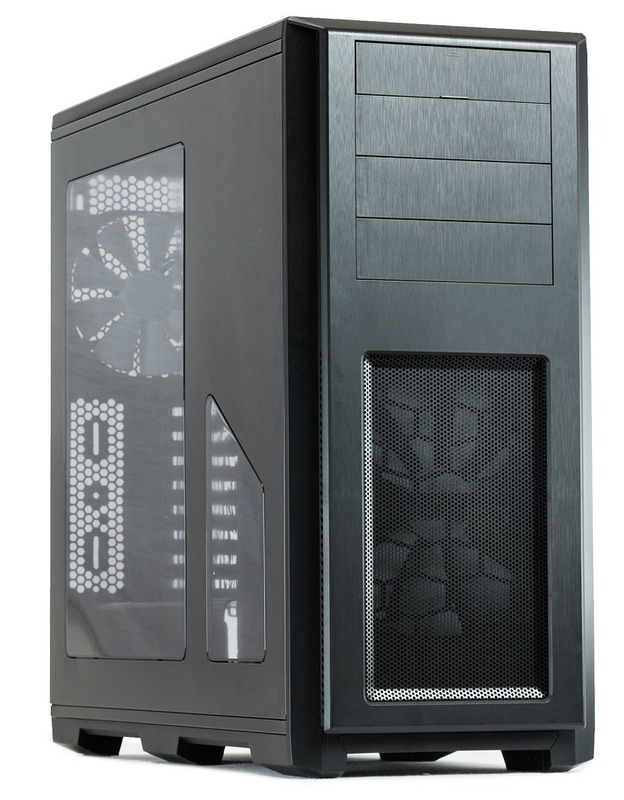 The case is huge and has a large side window panel that clearly defines your build. The case comes with small handles at the top and has latched side panels for easy access to inside without unscrewing the screws. This makes it more handy and unique among all other full towers. It supports motherboards of all form factors. So you don’t need to worry whether the motherboard you bought will fit in it or not. Longer graphics cards and 340mm dual radiators with 120mm/240mm fans are easily supported by this case. Along with dual 340mm radiator, the case comes with pre-installed dual 140mm intake fans at the front and a 140mm exhaust fan at the rear. Additional to that you can install two more 120mm fans at the bottom if you remove the drive bays. The top of the case is very beautiful and has two-two USB 3.0 and USB 2.0 ports along with a 3 mode fan controller gauge which helps you lets you decide how fast your fans should spin. The case has 2x 5.25″ drive bays for ODD, 3x 3.5″ drive bays for HDD and 6x 3.5″/2.5″ combo drive bays for both HDD and SSD. You can also remove all the cages if you only want SSD as your storage solutions that can be mounted on the side panel that has 3 SSD drive bays. Compatible Corsair Liquid Coolers: H55, H60, H75, H80i, H90, H100i, H105, H110. 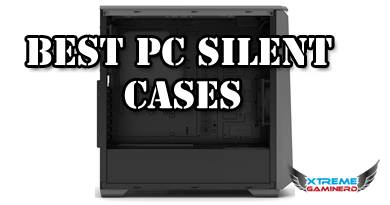 These are the top 7 cases that I found most interesting and worth your every penny. There are more but either the features or overpricing made me unselect them, therefore I did not include them in this list.